In the early hours of Friday morning, the Syrian Army reported that Israel had carried out missile strikes targeting the Mezzeh military airport southwest of the Syrian capital of Damascus. 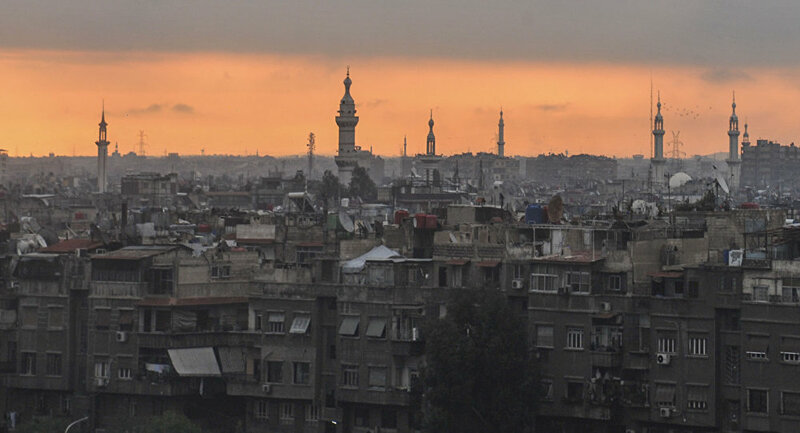 Syrian military command has since warned Tel Aviv that it may take retaliatory measures. Several explosions rocked the area near the base in the municipality of Mezzeh, about eight kilometers southwest of Damascus. Later, the Syrian army confirmed that the precision missiles were launched in from the vicinity of the Sea of Galilee (also known as Lake Tiberias) in northern Israel, about 90 km southwest of Damascus, near the Israeli-occupied Golan Heights. Following the explosions, a fire broke out in the vicinity of the airport. The Syrian side has yet to report on any possible casualties or of the destruction caused by the attacks. Syrian Army Command responded to the attacks by stressing that Israel's actions are playing into the hands of the armed militants with whom Damascus is fighting. A military source speaking to the Syrian Arab News Agency (SANA) said that the Israeli attack had provided direct support for the terrorists, and meant "to raise their morale." The military also warned of possible "repercussions" to the "flagrant attack." As usual, Israel Defense Forces have refused to comment on the attack. The military airport was allegedly struck by a similar Israeli attack early last month, when several ground-to-ground missiles were fired from occupied Golan Heights area. In spite of the attack, Syrian Army Command stressed to SANA that it would continue its war on terrorism "until eliminating and cutting off the arms supporting it." — Ibrahim Joudeh (@Ibra_Joudeh) 12 января 2017 г. The Mezzeh military airport is an important transit facility for Syrian forces engaged in a war against terrorist insurgents. The airport has also been used to launch artillery strikes against terrorist-held areas of the Damascus suburbs, many of which have since been liberated.